Lock in a great price for Slaviero Essential Ingleses Convention – rated 8.5 by recent guests! 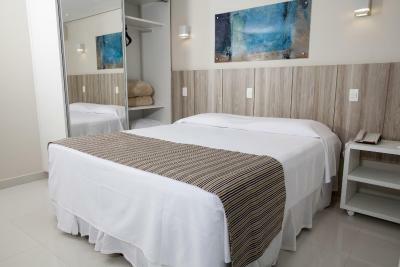 Execellent hotel nearby a lovely sandy beach of the South Atlantic Ocean! Nice breakfast, very hospitable staff, ready to help you when you need it! O hotel é bem tranquilo e a equipe de funcionários é excelente. O café da manhã é bom e tem de tudo um pouco (frutas, queijos, ovos, alimentação sem glúten, pães, bolos...). 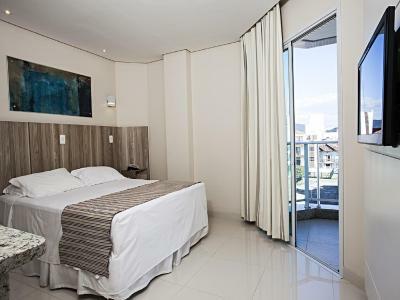 A área do hotel é bem confortável e por ser na beira da praia é super prático pra otimizar o tempo! Hotel bem completo. 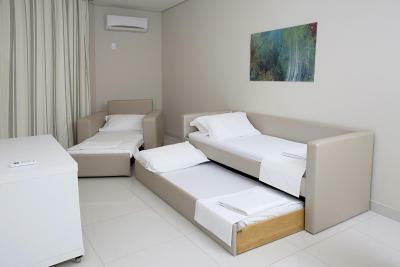 Hotel novo, muito bonito, equipe muito bem preparada e atenciosa, instalações (sauna, hidro, piscina etc) e serviços (café da manhã, restaurante, arrumação, valet) impecáveis e praia maravilhosa. El personal muy amable. Camas cómodas. Todos siempre atentos. Limpio. Desayuno rico. Restorante muy rico. Piscina na beira da praia !!! Atendimento do bar da praia muito bom e camareiras muito simpáticas. Super bequemes Bett. Guter Kaffee. Speisen im Restaurant frisch zubereitet. Café da Manhã muito bom. Localização ótima. Instalações muito boas. Quartos bons, novos, limpos e confortáveis. Bela varanda com vista parcial da praia dos ingleses. Jantar bom. Praia maravilhosa com um bar, cadeira, mesa e barraca do hotel. Piscina para adulto grande e piscina para crianças. Gostei muito. Custo x benefício ótimo. Da ótima localização, das instalações novas e da limpeza. Slaviero Essential Ingleses Convention This rating is a reflection of how the property compares to the industry standard when it comes to price, facilities and services available. It's based on a self-evaluation by the property. Use this rating to help choose your stay! 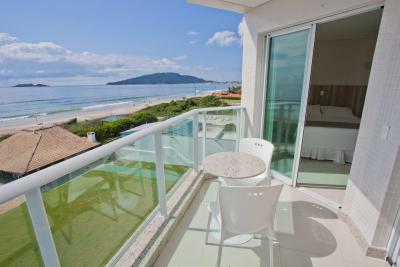 One of our top picks in Florianópolis.Located on Praia dos Ingleses, Slaviero Essential Ingleses Convention offers an outside pool with sun loungers, free WiFi and private parking. 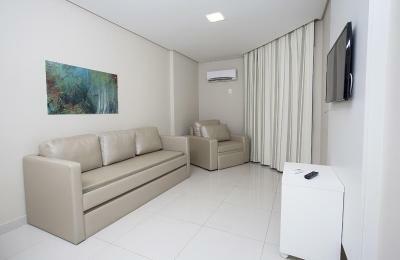 All the rooms at the hotel are air conditioned and are equipped with a TV and a private bathroom with free toiletries. Guests can benefit from an on-site restaurant and a 24-hour front desk. The nearest airport is Hercílio Luz International Airport, 24 mi from the property. When would you like to stay at Slaviero Essential Ingleses Convention? This air-conditioned room features a safe, mini-bar and TV. The bathroom includes a hairdryer, and Wi-Fi is available. Fitted with a balcony, this air-conditioned room features a kitchenette, a safe, a mini-bar and a TV. The bathroom includes a hairdryer, and free Wi-Fi is available. Featuring a balcony, this air-conditioned room features a safe, a mini-bar and a TV. The bathroom includes a hairdryer and Wi-Fi is available. Fitted with a balcony, this air-conditioned room features a mini kitchen, safe, mini-bar and TV. The bathroom includes a hairdryer, and Wi-Fi is available. 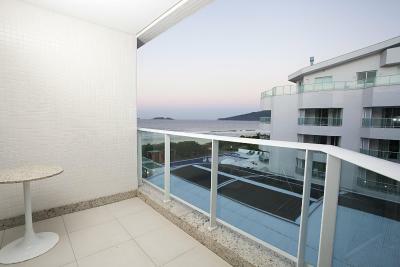 Offering a balcony, this air-conditioned room features a mini kitchen, safe, mini-bar and TV. The bathroom includes a hairdryer, and Wi-Fi is available. This family room has a TV, mini-bar, air conditioning and private bathroom with a hairdryer. Hotel surroundings – This neighborhood is a great choice for travelers interested in sandy beaches, beaches and beach walks – Check location Great location - show map Guests loved walking around the neighborhood! House Rules Slaviero Essential Ingleses Convention takes special requests – add in the next step! Slaviero Essential Ingleses Convention accepts these cards and reserves the right to temporarily hold an amount prior to arrival. They didn’t care about the guests! Restaurant have a poor menu, sauna 50 celsius and no phone to emergency in that hot room? The bath towels are very old, thin and rough! The price don’t match with that this hotel offer! Have a nice structure of pools! AC didn't work very well. Water wasn't hot enough during showers.